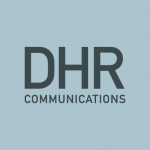 DHR Communications was delighted to be appointed by Active Retirement Ireland recently for an ongoing PR contract. One of our first services to ARI will be a media training roadshow: we’re going to be travelling around Ireland in the coming weeks to meet Active Retirement Associations throughout the country and give them training in media skills and accessing policymakers. Our first stop on the ARI roadshow will be Westport in Co. Mayo – we’ll be delivering training there tomorrow (18.09.09) to the Western Region representatives of Active Retirement Ireland. Further information about ARI is available here.